Construction of the fort began in 1816, and continued for two years when a survey conducted jointly by the United States and Great Britain discovered a problem—the fort was being built on the wrong side of the border. The actual border passed almost a mile south of the fort. Once the embarrassing mistake was discovered, construction of the fort was hastily stopped and the unnamed citadel earned the nickname “Fort Blunder”. 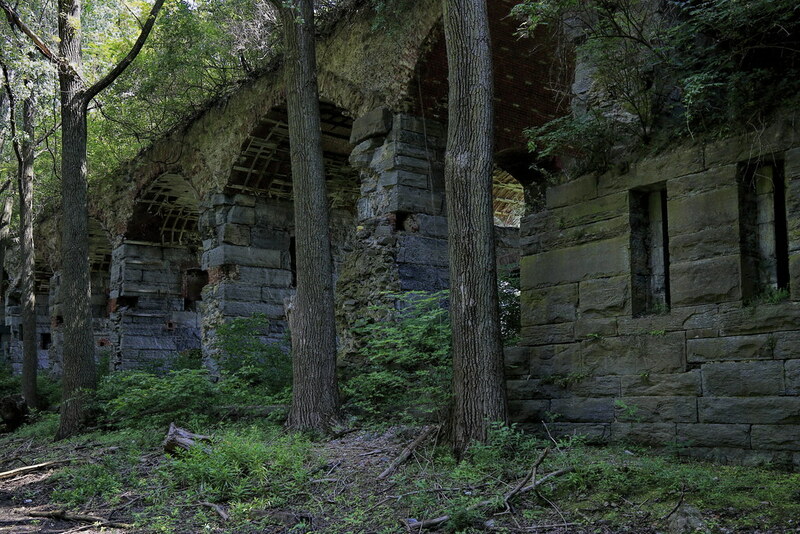 For the next 20 years, the abandoned fort was pilfered by local residents who carried away stones and building materials from it and used them to build their homes and public buildings. In 1842, American and British diplomats sat down to discuss this and many other boundary problems. The original border between New York and Quebec, as ratified by the 1783 Treaty of Paris, was supposed to pass along the 45th parallel, according to which Fort Blunder is on Canadian soil. The United States insisted that the new boundary be pushed up north just enough so that the half-finished fort could return to US soil. This was agreed, and it became one of number of tradeoffs negotiated during the signing of the Webster-Ashburton Treaty of 1842. At last, Fort Blunder belong to the United States. Without wasting any time, the US began reconstructing a new fort, and named it Fort Montgomery, in honor of the Revolutionary War hero General Richard Montgomery who was killed during the 1775 invasion of Canada. The fort was still being built when the American Civil War broke out in the 1860s. Amidst rumors of possible British intervention against the Union from Canada, there was a frenzied attempt to complete and garrison the fort. When the basic structure was eventually completed, Fort Montgomery had 48 feet high walls, taller than the previous fort. By 1886, the fort was armed with seventy four guns, all with their barrels trained northward towards Canada. However, by then, the possibility of an attack from the Canadian side had become so far fetched that the idea of fortifying the US-Canada border was seen as absurd. Slowly over the next half a century, the fort’s old guns, which were already made obsolete by modern artillery, were removed. Once again local scavengers took the fort apart and carried away untold amounts of bricks, lumber, windows, and doors for private use. 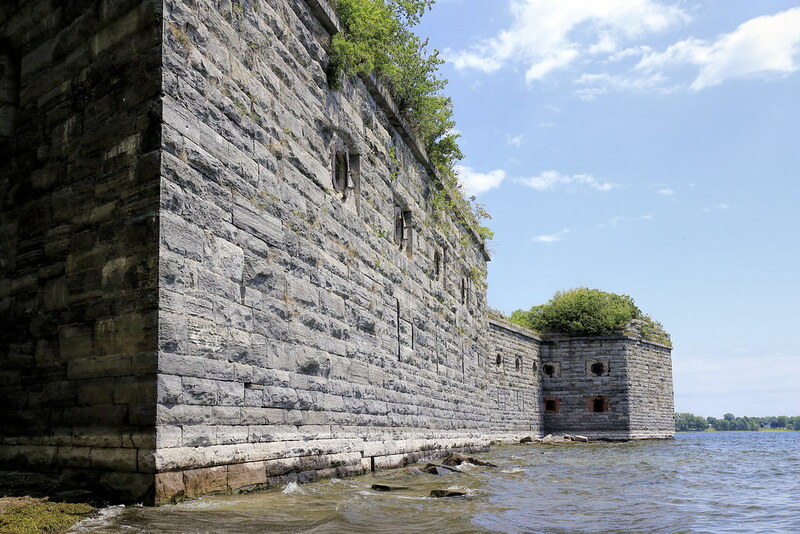 Eventually, a large part of the fort was demolished and the stones were used in the foundation of a new bridge across Lake Champlain. What little remains of Fort Montgomery today rests on private hands.